Bio Energy Courses >> Work with Energy and Hypnosis. Download the free ebook on Hypno Healing and learn a powerful healing system. 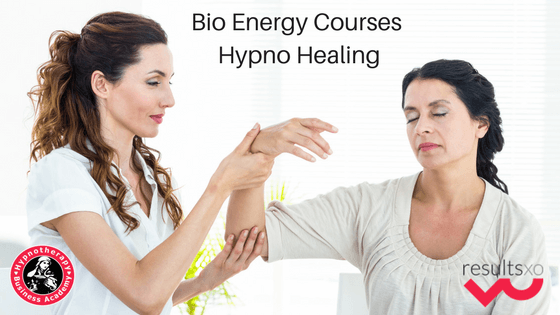 Bio Energy Courses made simple with Hypno Healing. Download the free ebook and learn how to use energy, hypnosis and spiritual healing in one easy system. Bio energy is a system of healing that helps to balance the energy in the body. However, bio-energy alone isn’t sufficient to clear the physical body of the negative effects of emotional hurt and pain. To achieve deep healing, the therapist/healer must also find a way to remove the biological effects of emotional pain and to do that we need to be de-hypnotised so we can break free from the spells of childhood conditioning. You can learn more about the Hypno Healing bio-energy system by downloading your free copy of the ebook Hypno Healing. Simply click on the link below. The Hypno Healing process is very simple to learn and very effective with clients who have had difficult childhood experiences. When a bio-energy process is combined with the lasting effects of contemplative hypnosis, the effects of the four 'Universal Hurts' can be removed from the energy field of the body. The four Universal Hurts are betrayal, abandonment, guilt and shame (BAGS). This process inspires the body and mind to heal itself. Training to become a Hypno Healing Master Practitioner is simple. Attend one weekend to become a Hypno Healing Practitioner. Attend a second weekend to become a Master Practitioner. The process is particularly easy to master even if you have no experience of using hypnotherapy. What is so remarkable about the Hypno Healing process is just how effective it is. Any clients who find themselves affected by the negative effects of childhood will respond very well to Hypno Healing. They will learn how to release of the pain associated with their past. The will discover where they hold emotional pain in their body, how this emotional pain creates physical symptoms and they will release that pain in a gentle and easy manner. They will also learn how to separate their identity from the constructed self they had to develop to get the love and approval they needed when they were a child. They will discover their true self and learn how to embrace that true self and live more fully in the present. Hypno Healing is taught by Susan Wallace from Results Academy and Hypnotherapy Business Academy. The course is fully accredited by the Healing Trust (Ireland) and by Hypnotherapy Business Academy. The course usually runs over two weekends in various locations throughout Ireland and the U.K. Great early bird offers are available for people who book their place in advance. To learn more about the course and to get notifiations of dates for 2017 download the free ebook using the button below.